Agenda: Process to configure WNA Authentication in Oracle Access Manager 11GR2 PS2. 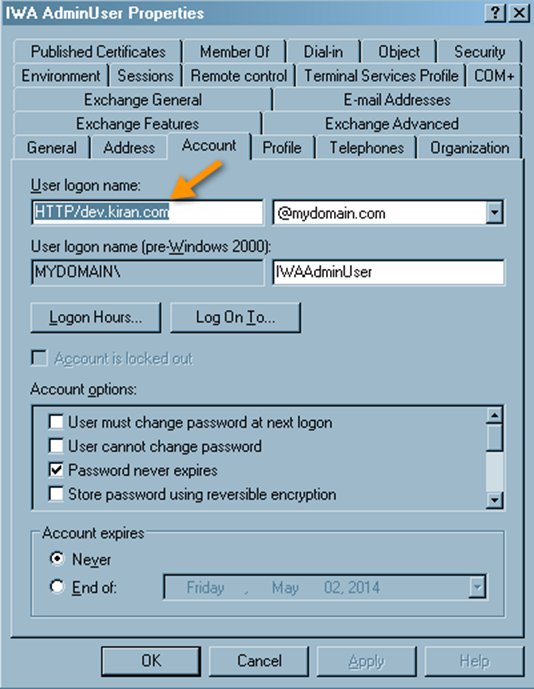 Create new service account in Active Directory domain controller. User should not have any password expiry. Open the command prompt in AD machine and execute the below command to generate the keytab file. "ktpass -princ HTTP/<oamHostName>@<adDomainName> -mapuser <adDomain>\<username> -pass <userPassword> -out <path>"
Check the success message as shown in the below screen shot. Open the user account in AD and click on the Account tab. Verify that principle name as shown in the below screen. Copy the keytab file from AD machine to OAM machine. Please verify the below screen for your reference. Execute the klist command in OAM machine as shown in the below screen. Find the Syntax below. "klist -k -t -K -e FILE:/<keytab file path>"
Execute the kinit command in OAM machine as shown in the below screen. Find the syntax below. "kinit -V <Principle Name> -k -t <keytab file path>"
Execute the klist command in OAM machine as shown in the below screen. 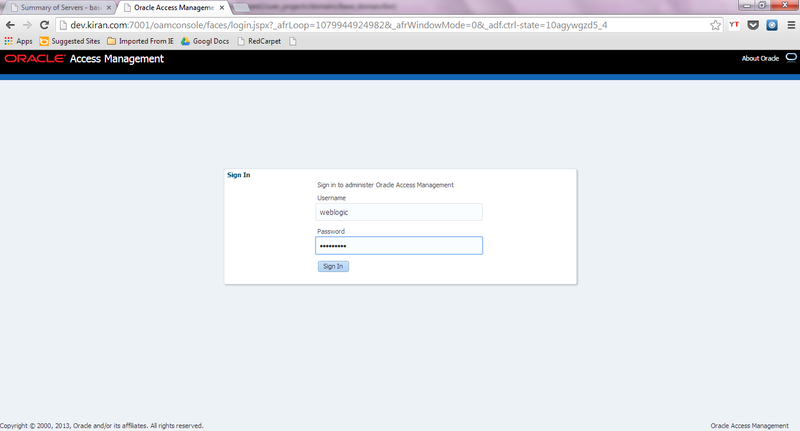 Login to the access manager admin console. Provide the required parameters as shown below. Create new data store for AD in OAM. Create Authentication policy with Kerberos schema. 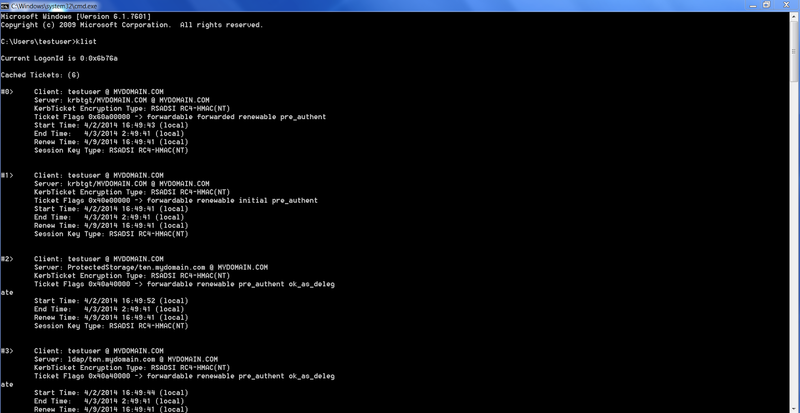 For your reference verify the Kerberos authentication schema as shown in the below screen. 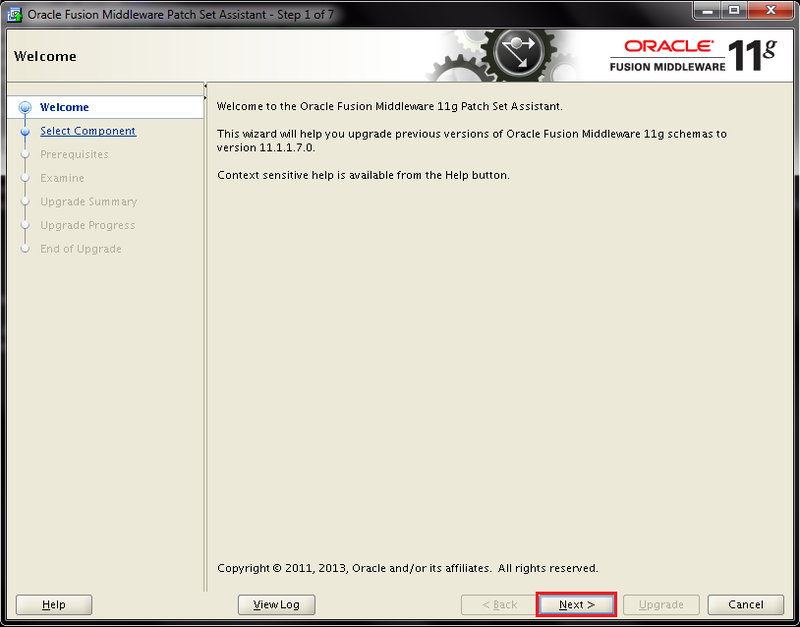 Modify the NTLM Response from DEFAULT to BASIC. Login to the AD Domain machine. Open command prompt and execute command "klist" to check the kerberos tokens are generated or not. Open IE browser then open Internet options and navigate to Advanced tab. 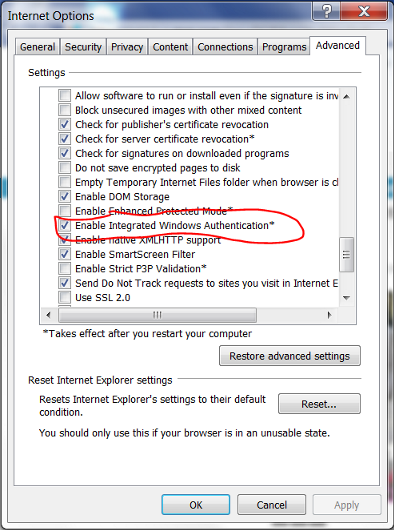 Scroll down and verify "Enable Integrated Windows Authentication" is selected. 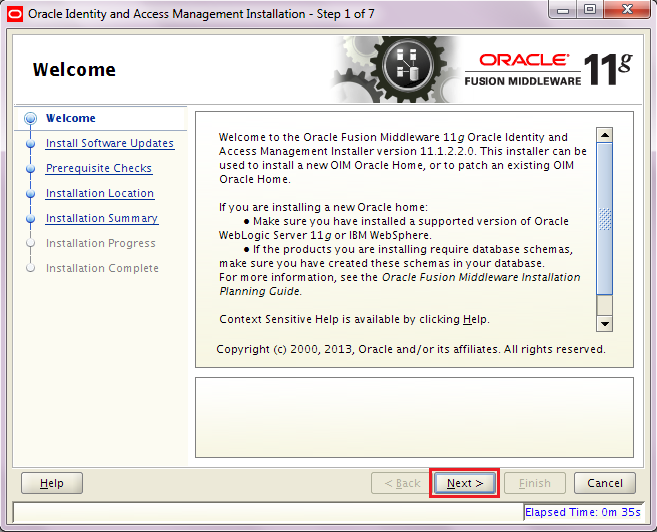 Try to access the application which is protected by OAM Kerberos authentication. 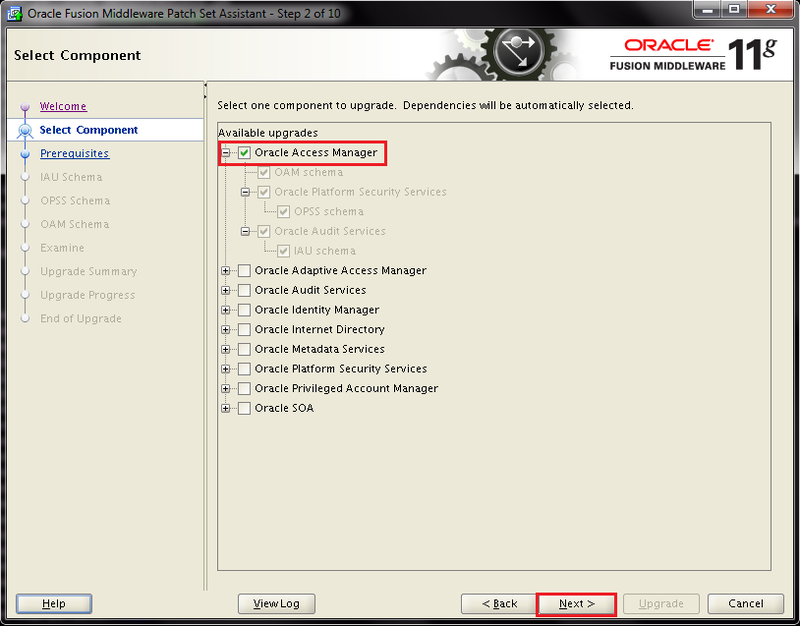 Description: This post covers the process of upgrading Oracle Access Manager from 11GR2 to PS2. 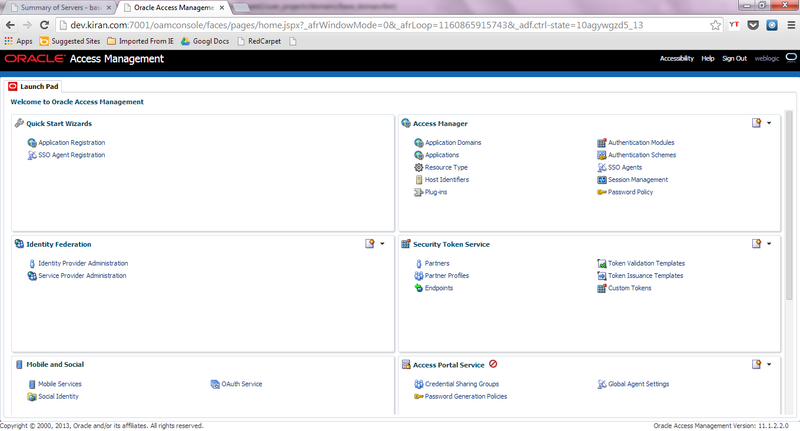 Shutdown Weblogic Admin server and OAM Managed server. 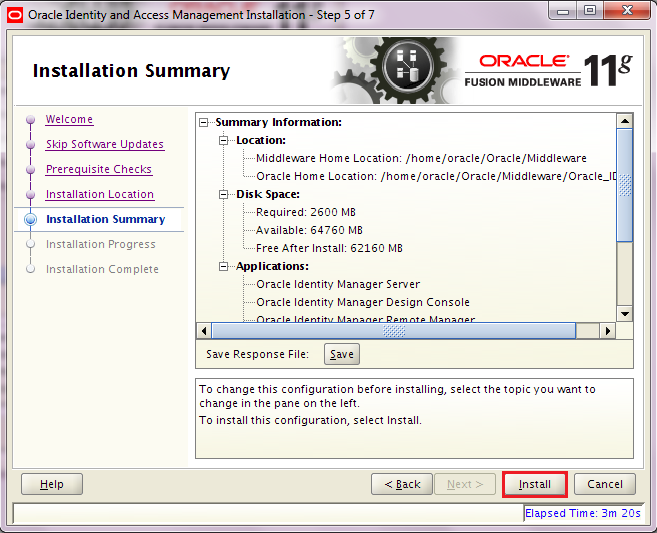 Take a backup of total environment including database. Download and extract the PS2 binaries and navigate to Disk1 and execute the below command. Check the Prerequisite Checks and click Next. 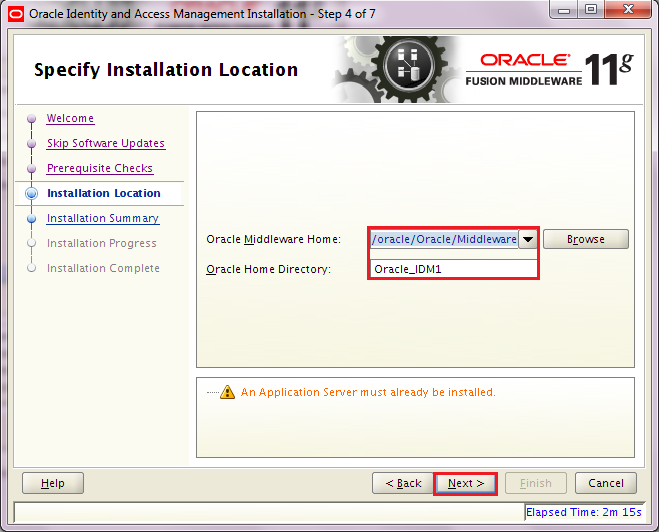 Select the Middleware Directory where OAM 11gR2. 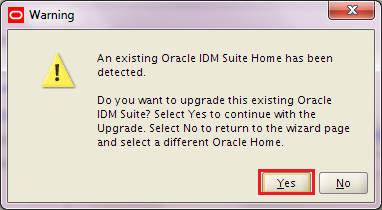 Pop-up window will appear and asking for to upgrade the existing version or select the new Middleware Home. Click Yes. Execute the. /psa to upgrade the OAM and OPSS schemas. 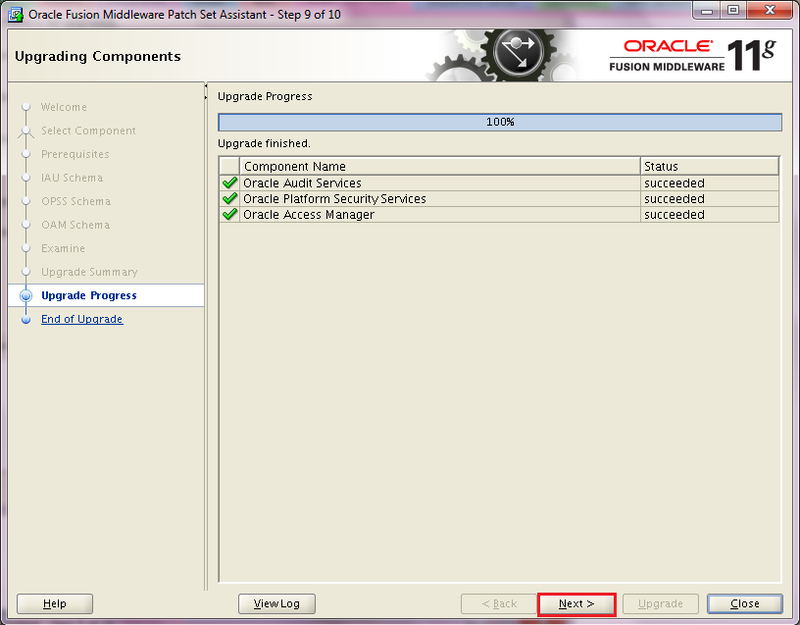 Select the component to upgrade the schema and click next. Check the both Prerequisites and click next. 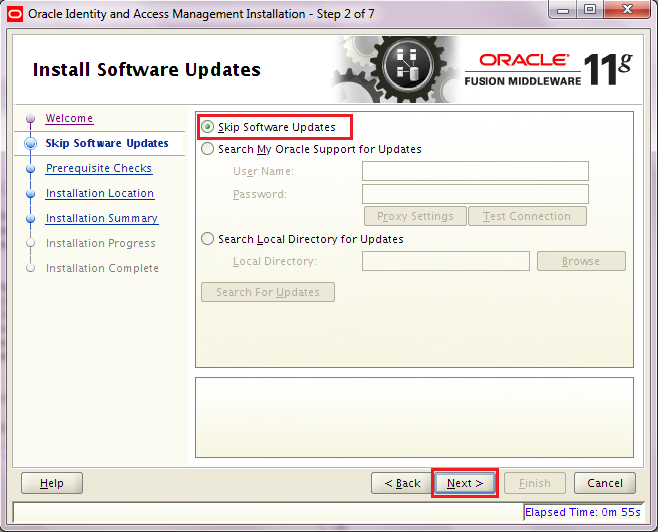 Provide the DB connection details to upgrade the IAU schema and click next. 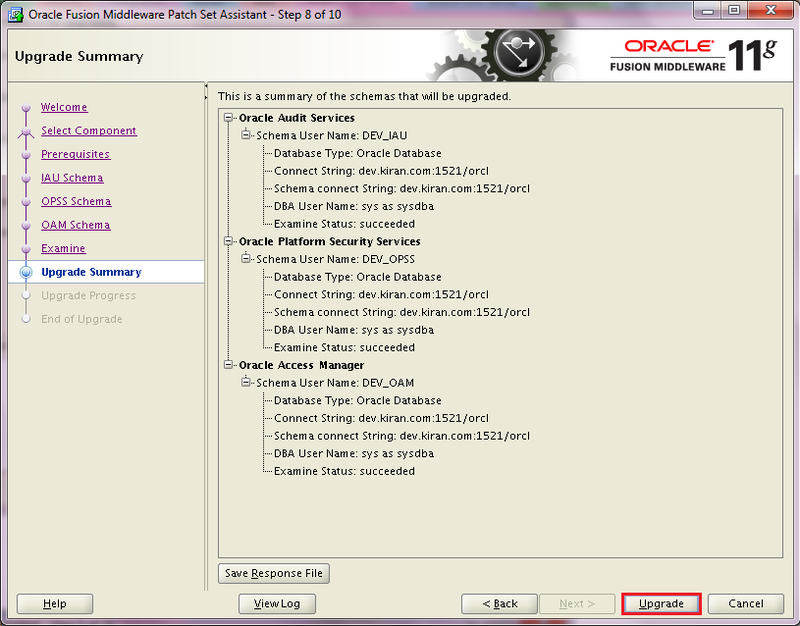 Provide the DB connection details to upgrade the OPSS schema and click next. 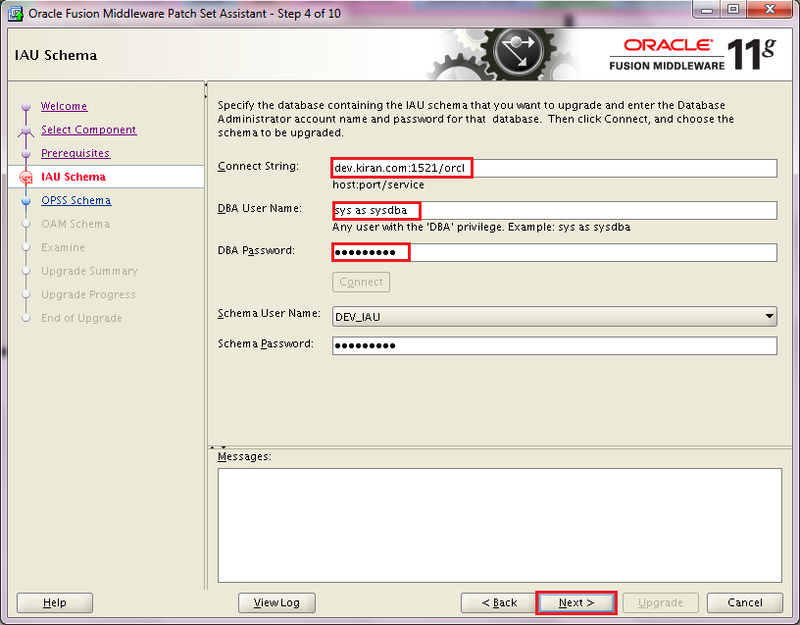 Provide the DB connection details to upgrade the OAM schema and click next. Click next after the Examine step is successful. 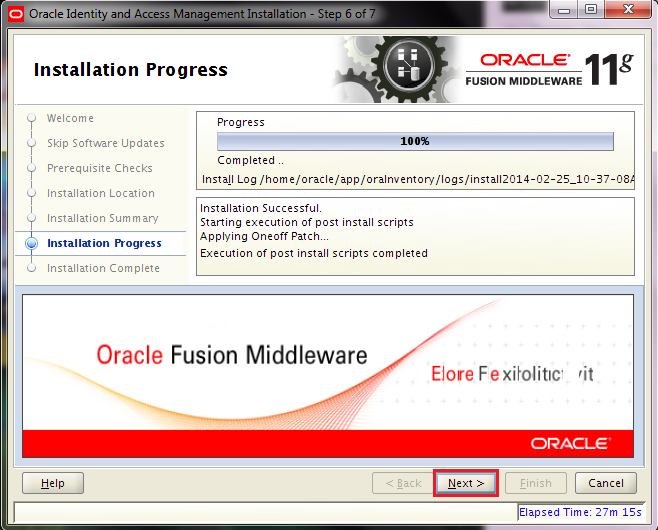 After upgrade process successfully done click on next. Check the upgrade status shows successful. Click on close. Then execute the upgradeOPSS command find the syntax below. Execute the below command to copy MbeanXmlFiles. Execute the below command to upgrade the system configuration. 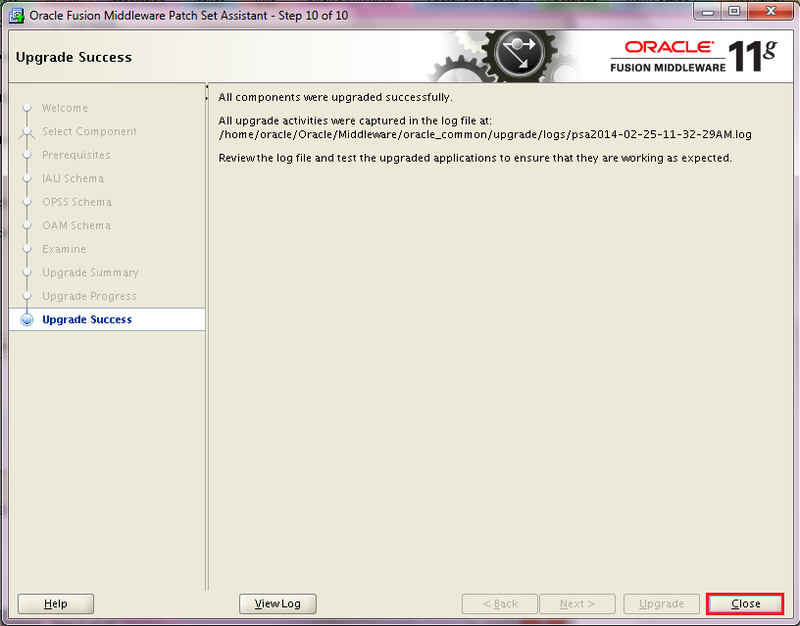 "upgradeConfig("/home/oracle/Oracle/Middleware/user_projects/domains/idm", "sys", "Passw0rd1", "DEV_OAM", "jdbc:oracle:thin:@dev.kiran.com:1521/orcl")"
Execute ./startWebLogic.sh to start WLS Admin Server. 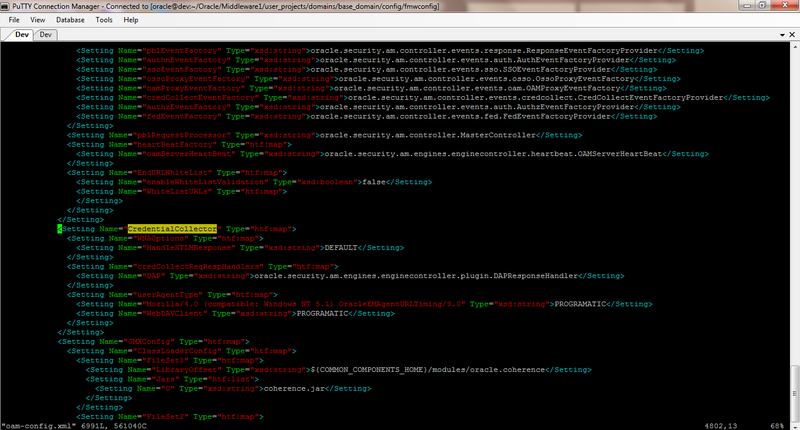 Execute ./startManagedWebLogic.sh oam_server1 to start OAM Managed Server.